I’ m moving into a new studio. I’m still part of Peak Studiofellesskap (peak studio community), but now I’ve moved into a larger studio a few steps down the hall from where I used to work. The room is a little larger than it appears in the picture, the sofa is pulled forward quite a bit… I’ll make a new “tour of my studio” video soon. Uhm… nothing really spectacular or unusal going on here. 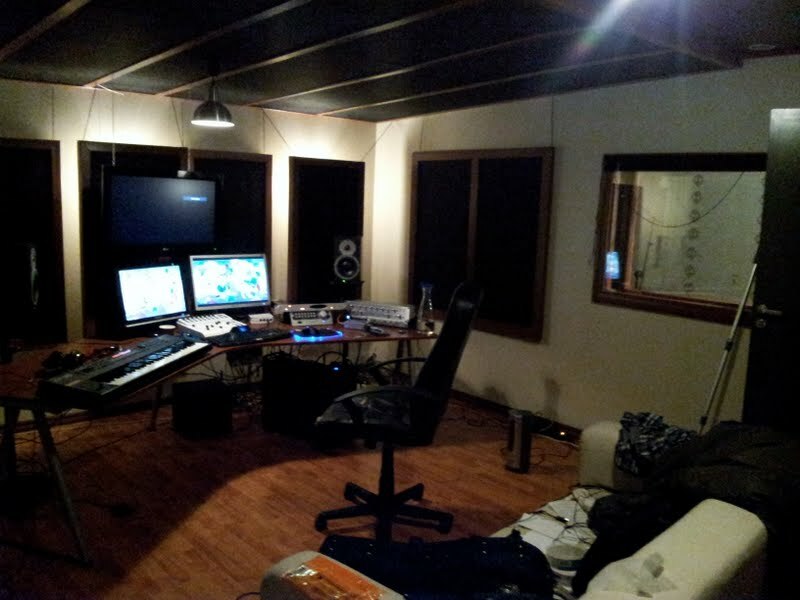 The room is still mainly for me composing, but now with much more space for collaborators and co-writers etc. Yay. And There’s a medium sized vocal booth connected to this studio. That’s the booth where all the City of Friends episodes have been dubbed to Norwegian, and we do all kinds of other voice recording there as well for commercials and stuff. Me olde and lovely Roland XP-30 is still my main keyboard controller. Not sure about the ergonomics of having it to the side of me… I’ll experiment with some other positions later. 3 screens, two preamps, a lynx aurora firewire is my AD/DA, and there’s a surround monitor controller… it never seizes to amaze the messy massive masses of cables you need to connect just a handful pieces of gear. Fortunately I’ve been promised some expert help to sort out a better cable management system.